In SAORI there are no levels of learning. Students learn side by side, each on their own journey. 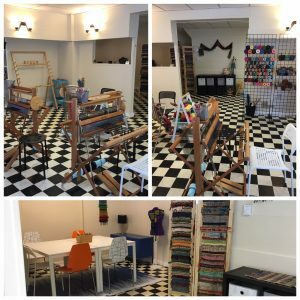 If there is a loom available, there is space for you to join us! weaver will work on a larger project over multiple sessions: choosing the fibers, preparing the warp, and preparing the loom will be taught. sessions are customized to the student. take a whole day to experiment freely and wander your own creative path. custom designed package to make the most of your time in the studio.